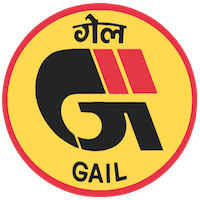 Online Application Details for Gas Authority of India Limited GAIL Recruitment of Medical Professionals is given below. Application form and duly attested documents are to be sent to Sh. Basant Kumar Kullu , Chief Manager (Human Resource), GAIL (India) Ltd., GAIL BHAWAN, Plot No -73, Road No-03, Sector – 15, CBD Belapur, Navi Mumbai, District –Thane- 400614 (Maharashtra). In envelope super scribed with 'Application for the Post of Post Name'.